Yair Emanuel’s Havdalah sets are exquisite works of art, giving a welcome burst of life and color to bringing in the new week. 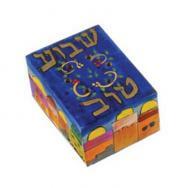 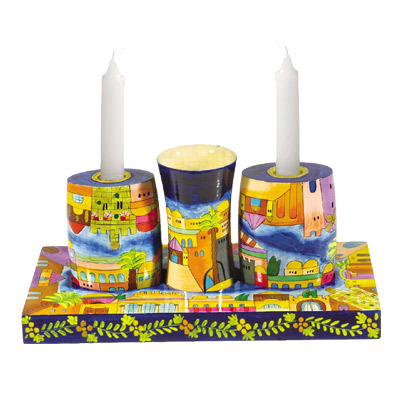 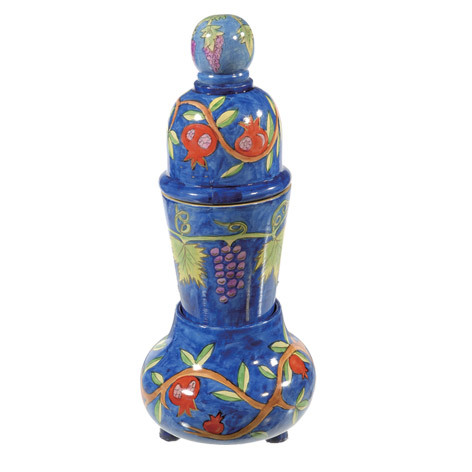 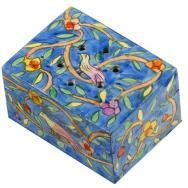 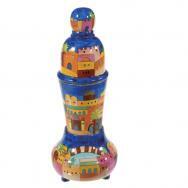 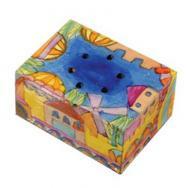 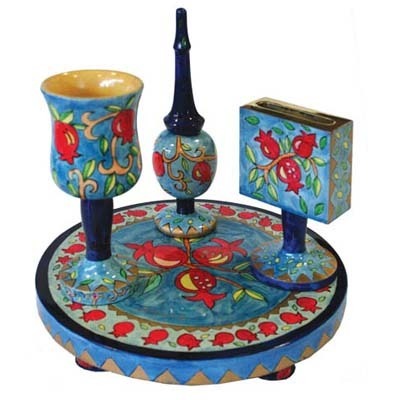 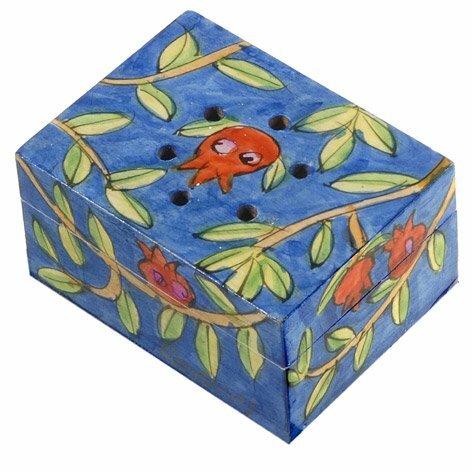 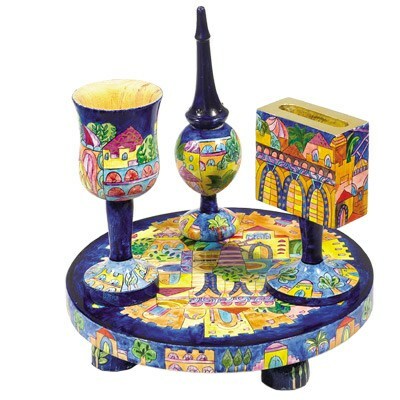 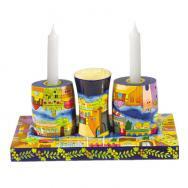 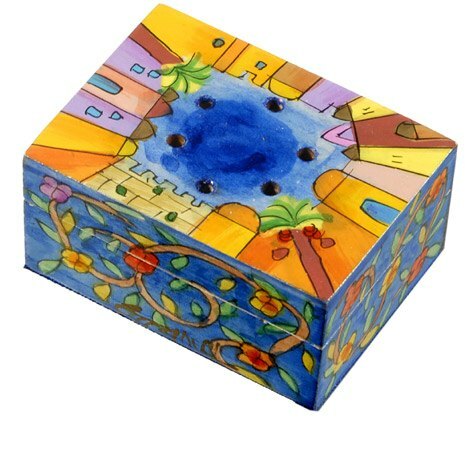 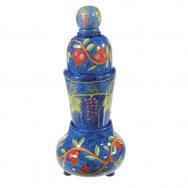 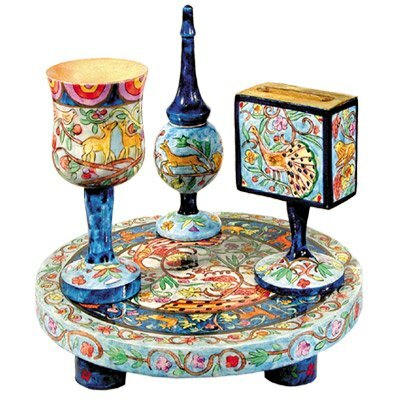 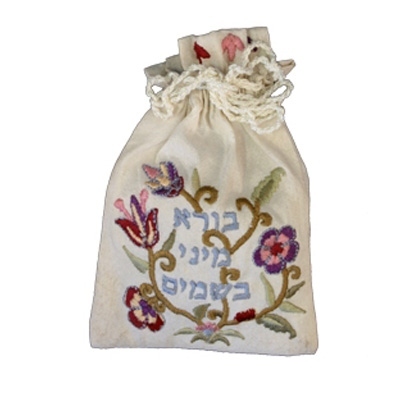 Emanuel’s Havdalah sets are manufactured out of wood painted in vivid acrylics, and are decorated with Jewish motifs such as Jerusalem, the Seven Species, oriental designs, flowers and pomegranates. 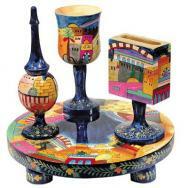 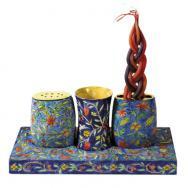 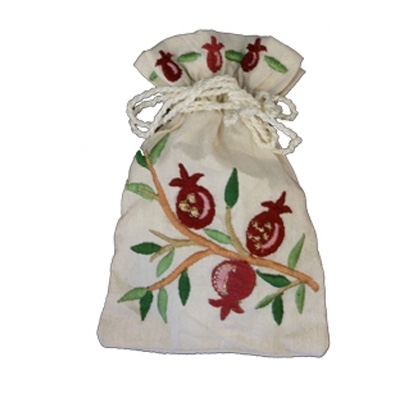 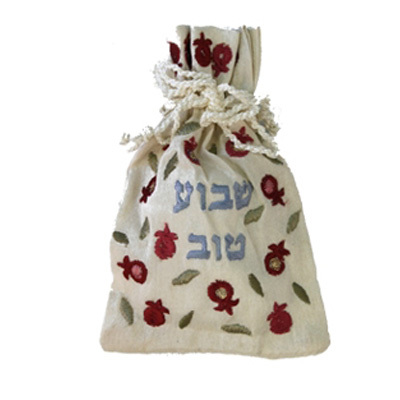 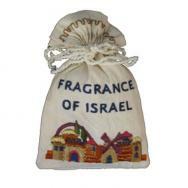 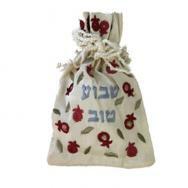 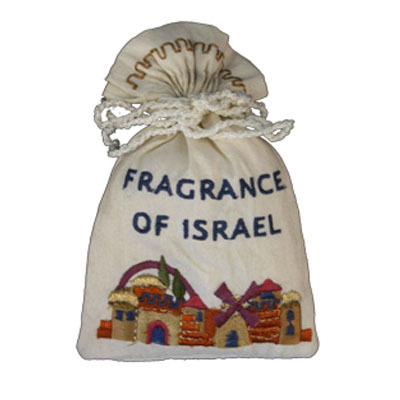 Every set includes a Kiddush cup, a Havdalah candle stand, and a unique container for fragrant spices. 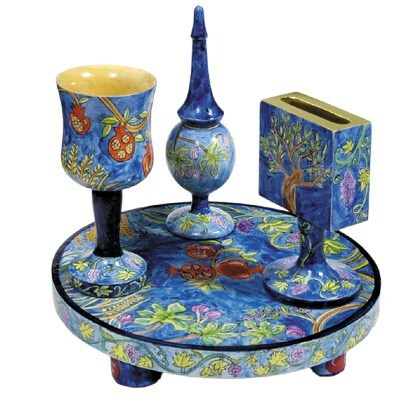 The various designs also include folding sets, intended for travelling.